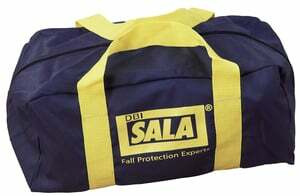 Capital Safety 9511597 Equipment carrying and storage bag, 7.5 in. x 6.5 in. x 15.5 in. (19.1 x 16.5 x 39.4 cm).